On this page I will share my race tips. I hope this will help you all! 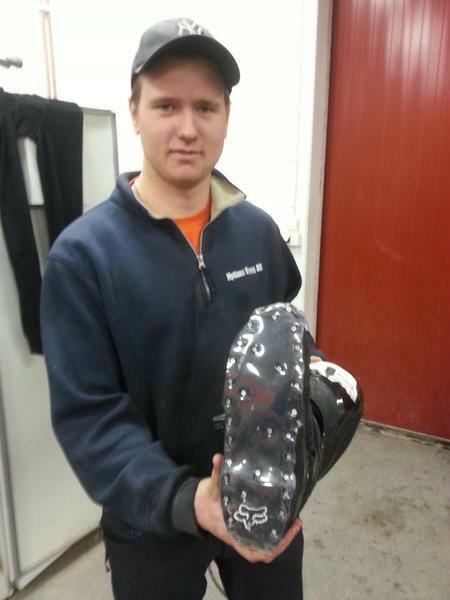 Winter time, spikes goes on. 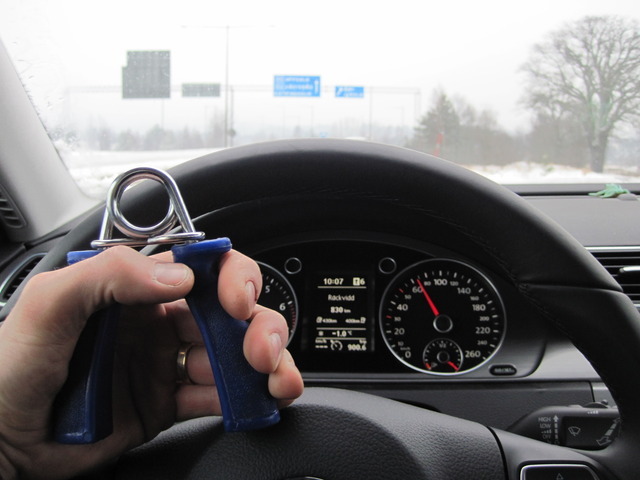 Same rules as ever but remember to check the tire pressure cold, and not inside. 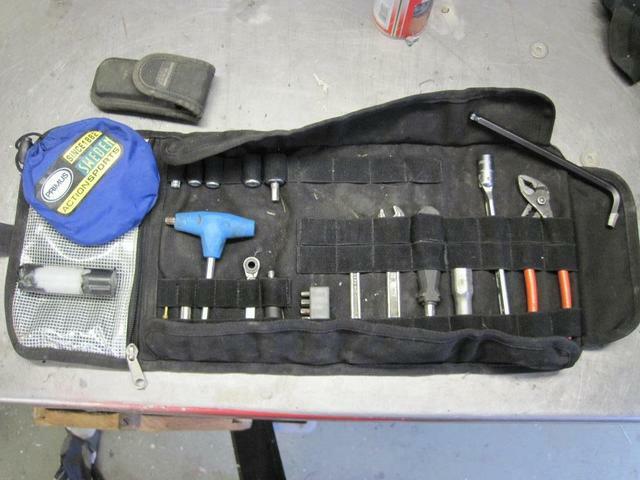 If you're planning to ice-race you lose the mousse, and install a tube instead (don't forget the tire lock). 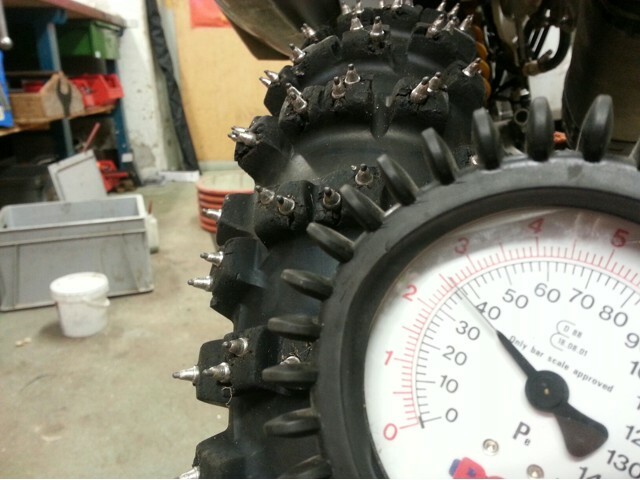 You need much higher tire pressure than normally, the theory is to ride on one spike at a time, digging it deep into the ice. 2 bar at least. Here I fill it inside a garage, so a little more. This is my pre-race check list. Stuff and where to keep it. If you have a teflon memory like me, write down the standard suspension setting on the part. Or your race setting, or whatever. If you get lost, just read and click it back again. When winter is here you need to think about clothes and staying warm. You also need more water even if you can't feel it. 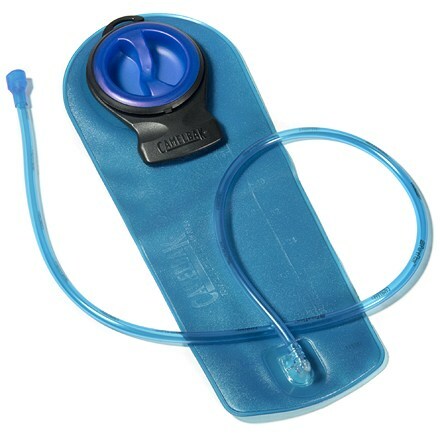 Pour hot water in your camelbak, it's easier to absorb. Now, get out there. Remember to use cold water and heat it up, NOT warm water from the tap. 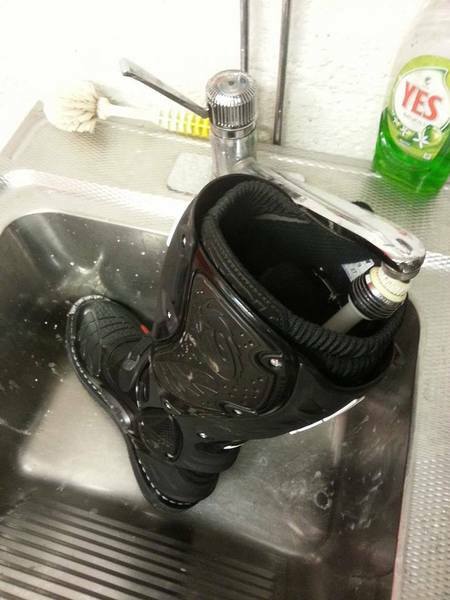 When buying new boots, fill them with hot water while loading the car, drain, then put them on and let them stay on the rest of the track day. This will make them take the shape of your feet better. You can use this for any shoes and gloves, especially made of leather. This is usually not needed when using boots with joints such as Gearne or Sidi. Muddy? Steal your girlfriend's pantyhose and install them in front of the coolers. The mud sticks, dries and vibrate off. Cold in the air but ground still not frozen? Your bike might look like this. 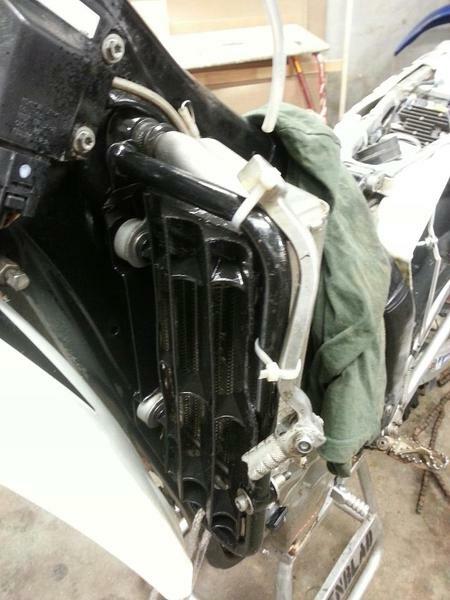 Before you attempt to clean it, use a rubber hammer to get the ice off the bike. This also works in the middle of a race of course. 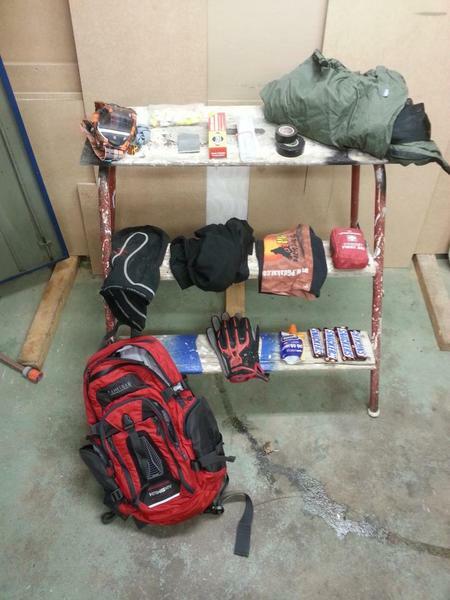 Rd Race tip no 8: Rally bag pack list. To avoid blisters in the middle of a race you have to ride a lot of course. This makes tough hands but still you will get blisters when competing. 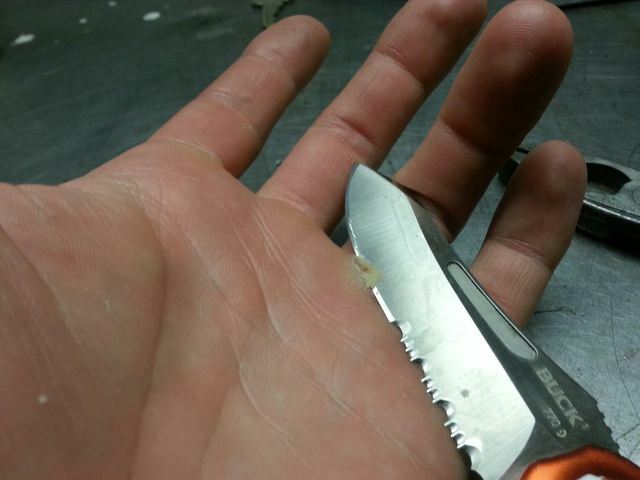 Get a sharp knife and cut the calluses. Just like filleting salmon. If you're prepping for desert racing or live in a less humid country than Sweden, degrease a new drive chain with kerosene or diesel. The grease inside will be enough lube anyway so don't mess with it. 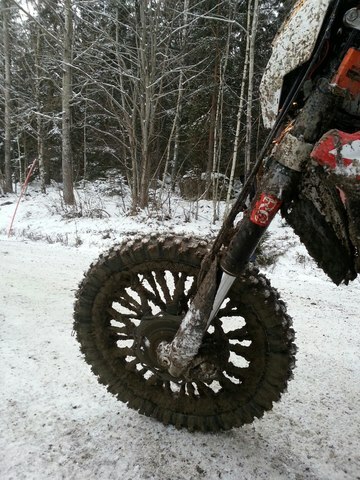 A dry chain stays clean and lasts an African Dakar rally on a KTM 690 rally, so surely even for you too. 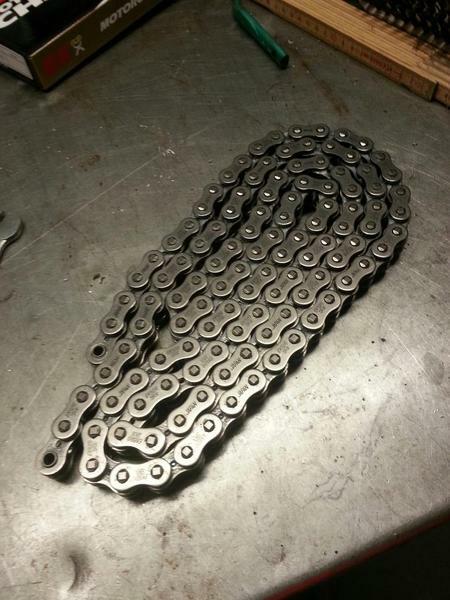 When you buy a chain, spend your money on a o-ring or a x-ring chain. 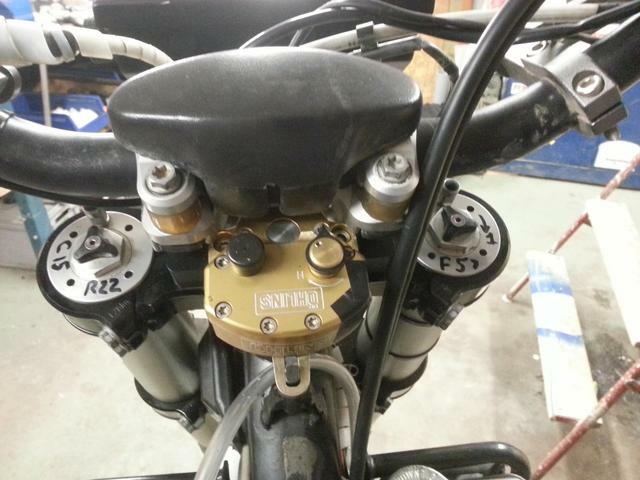 Also, buy a extra master link, because this wears much faster than the chain. Switch the worn one and keep it with you. The old one is easy to change out in the woods if your chain breaks. A good chain is ok two sets of sprockets. I can't feel the difference and use steel sprockets by the way. 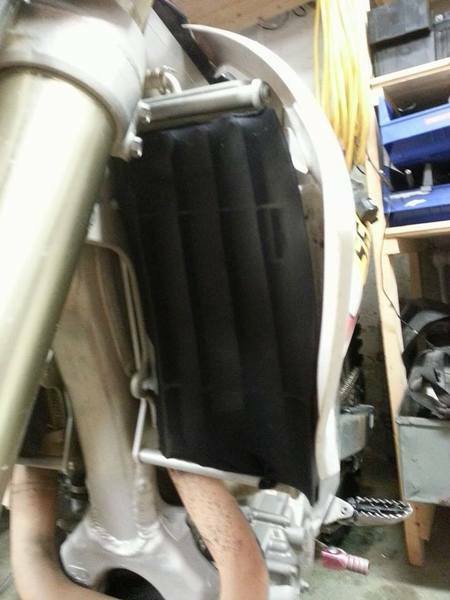 If you want to bullet-proof your rally- /adventure bike, here's one of many tips from now on. The shift lever has a very bad location and lives on borrowed time. Buy a spare, make sure it fits and strap it somewhere safe. On the frame or like mine; on top of the radiator protector. 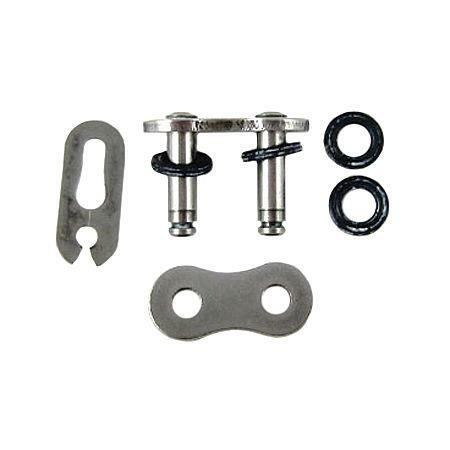 If you have a KTM or Husky, remember a spare screw and washer. A race day you loose a lot of water and minerals by sweating. I usually start a race day with breakfast and before I kickstart I take 1 headache pill, and 2 hydration replacement pills. This way I never get headache, and also I'm topped up with minerals. 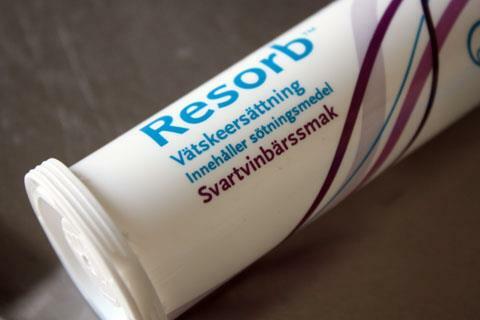 By the way, this works on hangovers as well. 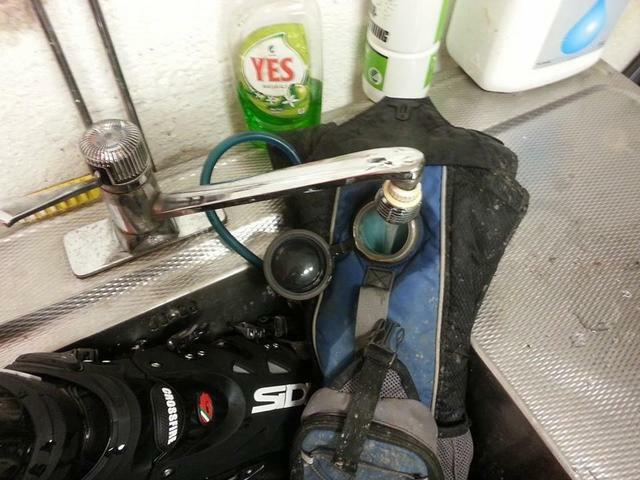 When done riding, empty your hydration pack, but leave the water in the drinking hose. Store the whole thing in the freezer until next time. 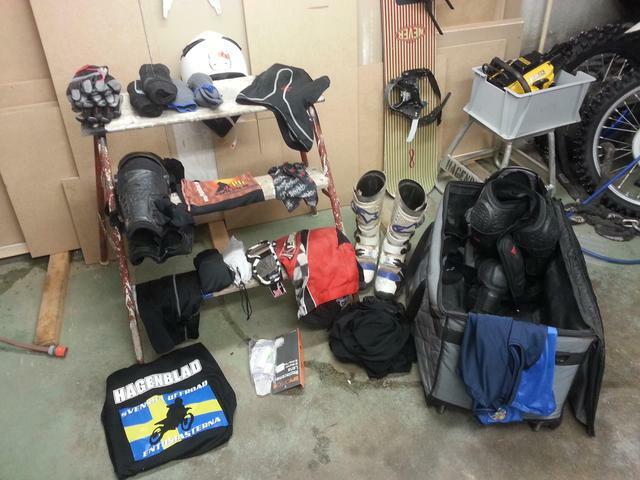 Before riding, take it out and bend the hose so the ice inside cracks, taking algaes off the walls. This will keep it like new and no discusting creatures will survive in your drinking water.